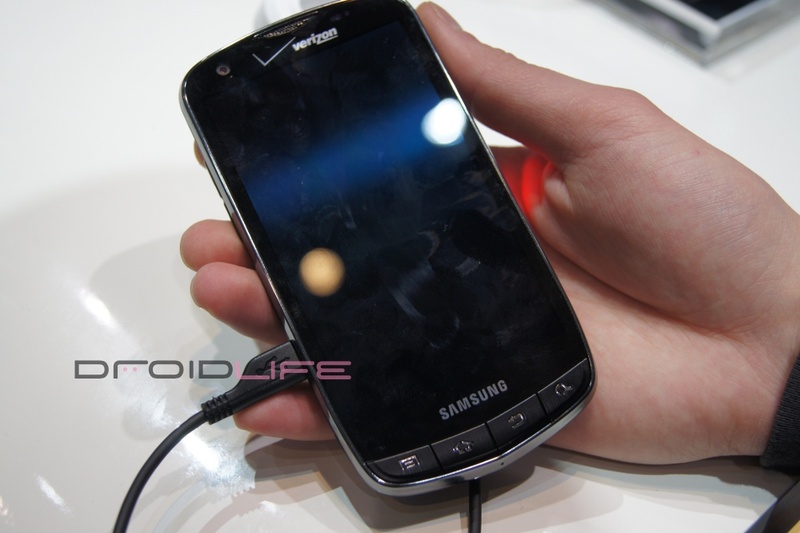 The Samsung 4G LTE device that we got our hands on at CES made a major appearance in Verizon’s Info Center just a few minutes ago and is apparently still nameless with only a model number of SCH-i510. 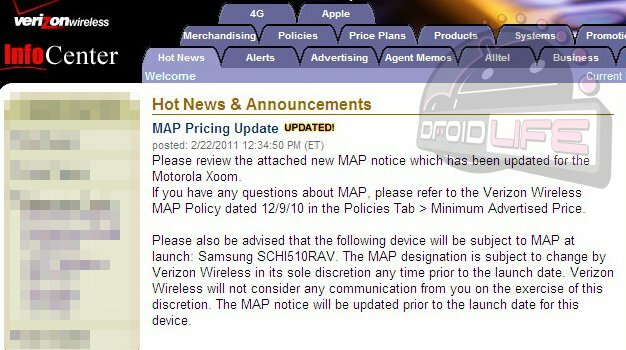 It received its “MAP designation” which stands for Minimum Advertised Price and is usually a good sign that the device launch isn’t all that far off. We aren’t sure exactly what that price will be, but if it follows the Thunderbolt model at all, we should expect it somewhere around the $249 mark on a 2-year contract and hopefully no where near that $749 number. And if this device is somewhat of a mystery to you, then you may want to check out this comparison chart we did for all of Verizon’s 4G LTE devices. The device is rockin’ a 4.3″ Super AMOLED Plus screen, HDMI-out and 1GHz single-core processor. During CES, it was our least favorite of the four, but now that we’re revisiting the pictures of it, we’re starting to fall a little in love. That screen is absolutely gorgeous.